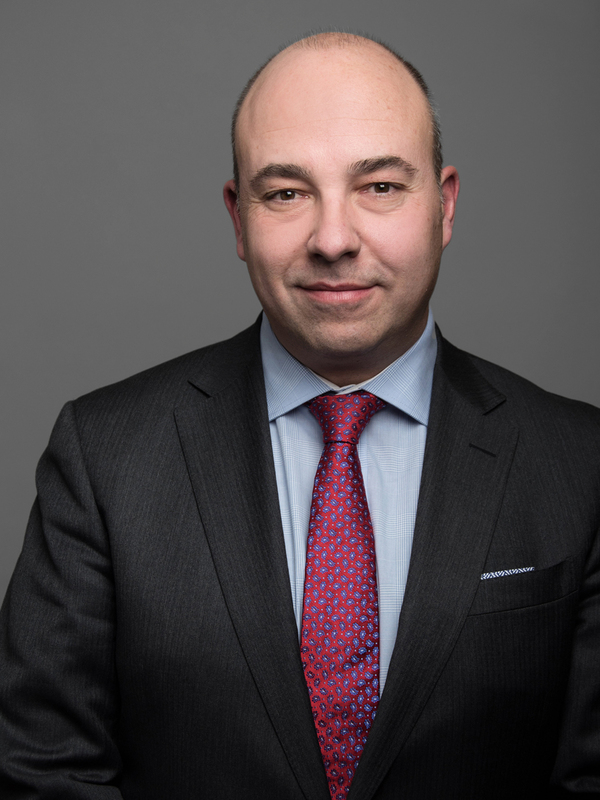 Today, the Independent Electricity System Operator (IESO) released the Ontario Planning Outlook (OPO), a requirement of the power system planning process reflected in Bill 135, the Energy Statute Law Amendment Act (2015), and a precursor to the Government of Ontario’s review of its Long-Term Energy Plan (LTEP). The objective of the OPO is to provide planning context for policy makers and industry stakeholders, and to serve as a starting point for consultation on the substance of the LTEP. The OPO looks at historical trends over the past decade of transformation in the electricity sector which have contributed to the situation in Ontario today in terms of demand, the supply mix, the sector’s greenhouse gas (GHG) emissions profile, the cost of electricity service, and conservation & demand management (CDM). It then looks forward to the next 20 years in the context of the path the province is currently on given various developments that have taken place since the release of the 2013 LTEP, both directly concerning the electricity system as well as broader public policy priorities, such as the Climate Change Action Plan (CCAP), which may bear on future considerations and planning assumptions. Through this process the IESO investigated relevant emerging trends, issues, uncertainties, opportunities and risks that should be taken into account in discussing the requirements for Ontario based on various scenarios of growth. It interprets these scenarios and presents integrated themes and insights respecting what the electricity system could look like in the future. That said, prescription of specific resources and strategies to reliably adapt the system to what is anticipated to transpire over the next two decades, is left to the LTEP document, which is scheduled to be finalized in early 2017 following extensive consultation. The reference forecast of the OPO suggests that Ontario is adequately supplied and will remain so for the foreseeable future, with requirements for additional supply generally not expected to emerge until sometime in the middle of the next decade. Over the past 10 years the province has experienced net growth in electricity supply while retiring approximately 6,000 MW of installed coal-fired capacity. This net growth in supply of approximately 8,000 MW is due primarily to investment in: non-hydro renewables, new natural gas capacity, refurbished nuclear units, new hydroelectric resources, and new demand response capacity. 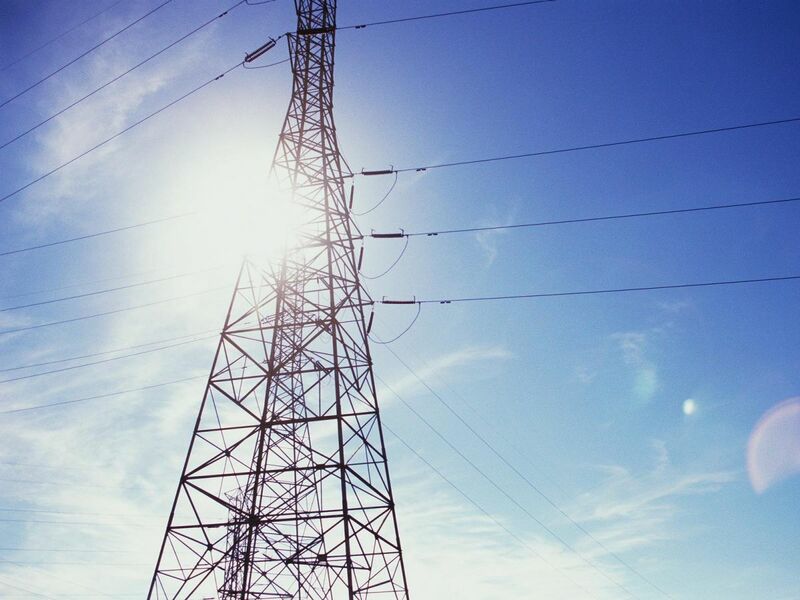 Major transmission investments have also supported objectives related to the elimination of coal-fired generation through improved reliability, enhanced interconnections with neighbouring jurisdictions, and enabling new, cleaner resources. While it is anticipated that Ontario will remain well supplied until the mid-2020s, there are many moving pieces to consider looking forward including: extended nuclear refurbishment outages, nuclear retirements, additional renewable and natural gas resources coming on-line, non-utility generator (“NUG”) contracts reaching their term, and larger natural gas contracts beginning to reach their term. In all, approximately half of Ontario’s currently installed capacity will reach contract term or end of service life before 2035, not including multi-year nuclear refurbishment outages. While there is some time, this substantial looming turnover in supply presents important opportunities to consider and risks to manage for Ontario and the IESO. While installed capacity has experienced net growth over the past decade, demand for electricity has not grown within the same period. Peak demand has been reduced by approximately 15%, and total energy consumption by approximately 11% largely as a result of conservation and demand management programs, embedded generation, the economic recession, and improved energy efficiency in the building sector. Historically, accurately forecasting demand well into the future has proven a challenge, and is largely built on considerations and assumptions that may or may not materialize. This presents a significant range of uncertainty when it comes to defining needs. 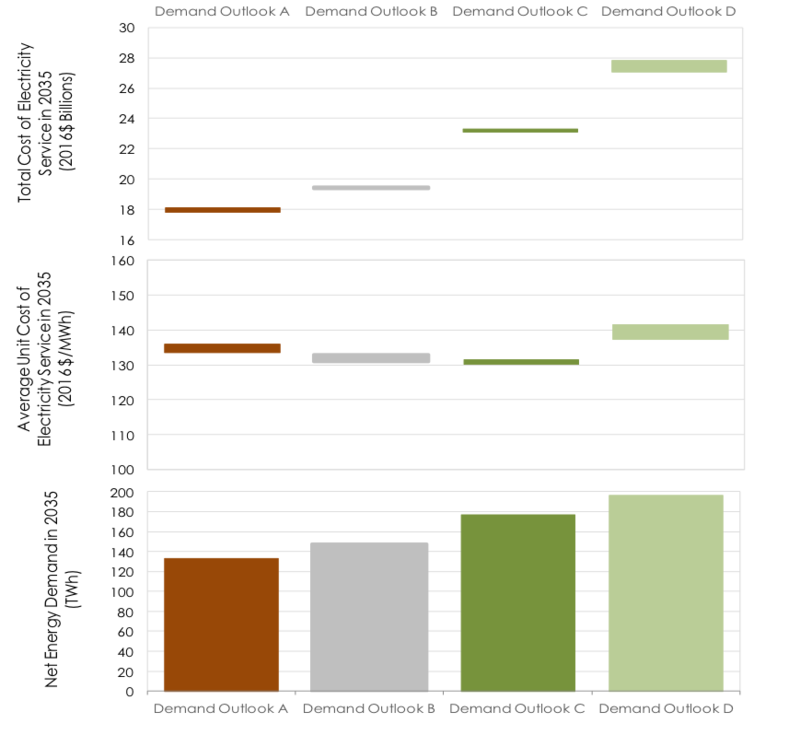 For that reason, the OPO presents four potential demand outlooks (A-D) which range widely in terms of net energy demand, summer peak demand, and winter peak demand. Outlook A: Represents a low demand, high conservation, demand management and energy efficiency scenario characterized by reduced consumption of approximately 12 TWh across the residential, commercial and industrial sectors by 2035. This scenario builds in demand growth from the electrification of transportation (transit and vehicles) of approximately 3 TWh. Taken together this scenario represents approximately a 10 TWh (7%) decrease in net electricity demand by 2035 over 2015 levels. Both summer and winter peak demands are forecast to decrease as well, by approximately 1,400 MW (6%) and 1,500 MW (7%) respectively by 2035. Outlook B: Represents a reference case scenario of modest demand growth driven primarily by the electrification of transportation and increasing load in the commercial sector. This scenario likewise forecasts a slightly higher proliferation of electric vehicles than Outlook A. Net electricity demand growth of 5 TWh (3.5%) is expected to occur as a result, with both summer and winter peak demands forecasted to increase by approximately 800 MW (3%) and 300 MW (1.5%) respectively by 2035. 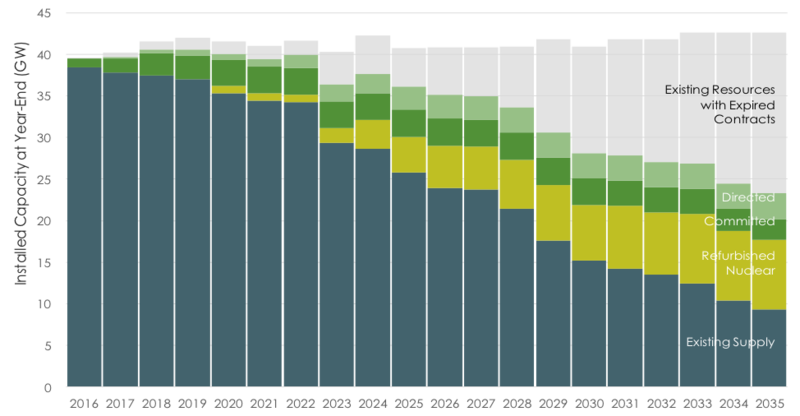 Outlook C: Represents a high growth scenario occurring largely as a result of a transition away from fossil fuel space and water heating in the residential and commercial sectors toward electric heat pumps, a modest switch from fossil energy use in the industrial sector to an electric equivalent, and a significant uptake in electric vehicle use by 2035. In this scenario net electricity demand increases by 34 TWh (24%), with both summer and winter peak demands forecasted to increase by approximately 3,300 MW (14%) and 7,000 MW (31.5%) respectively by 2035. Outlook D: Represents the highest growth scenario reflecting a significant transition away from fossil fuel space and water heating in the residential and commercial sectors toward electric heat pumps, a more significant displacement of fossil energy by an electric equivalent in the industrial sector, and the deployment of 2.4 million electric vehicles across Ontario. In this scenario net electricity demand increases by 54 TWh (38%), with both summer and winter peak demands forecasted to increase by approximately 4,600 MW (19%) and 13,000 MW (59%) respectively by 2035. GHG emissions in Ontario’s electricity sector have declined by more than 80% over the past decade, primarily due to the complete retirement of coal-fired generation in the province. The remaining emissions come primarily from natural gas, and under Outlook B are expected to continue to decline as additional renewable capacity comes online. There is anticipated to be a slight increase in emissions following the retirement of Pickering Nuclear Generating Station, though emissions are generally expected to remain well below historical levels. Under the high demand growth scenarios, the emissions profile of the electricity system will depend on the extent to which natural gas is used to serve needs in the future. As discussed, approximately half of Ontario’s installed capacity will reach the end of its contract term or operating life within the next 20 years, and of that approximately half is natural gas. The OPO anticipates that in Outlook B, total cost of electricity service will average approximately $21 billion annually (2016$) over the next 10 years, and is estimated to gradually decrease to approximately $19 billion annually by 2035. This is premised on the assumption that generators whose existing contracts have expired, but whose facilities continue to operate will do so on the basis of a lower revenue requirement. This translates into annual average increases in the unit cost of electricity of 0.4% (2016$) per year over the first decade of Outlook B. Lower costs over the second decade lead to the average unit cost decreasing by an annual average of 0.3% per year over the full 20 years of the outlook horizon. In higher demand scenarios, incremental investment in new electricity resources will be required to meet both peak and energy requirements, as well as maintain a flat emissions profile. The corresponding necessary investment would increase the annual total cost of electricity service in Outlooks C and D by $4 billion to $10 billion by 2035. That said, the related increase in energy consumption in Ontario would result in the average unit cost of electricity service to remain within the range of the lower growth scenarios. The OPO is a reflection of the IESO’s technical assessment of the state of Ontario’s electricity system and their modelling of what the future may look like under a range of growth scenarios. Growth combined with aging assets, a requirement to maintain reliability, an imperative to keep emissions low, and cost pressures that persist following a decade of significant investment to phase out coal-fired generation all set the table for government to consider in updating the LTEP. It is anticipated that LTEP consultations will begin later this fall, where the Ministry of Energy will be seeking detailed input from industry and stakeholder groups, as well as hosting sessions across the province. Our team would be pleased to answer any questions you may have about the Ontario Planning Outlook. 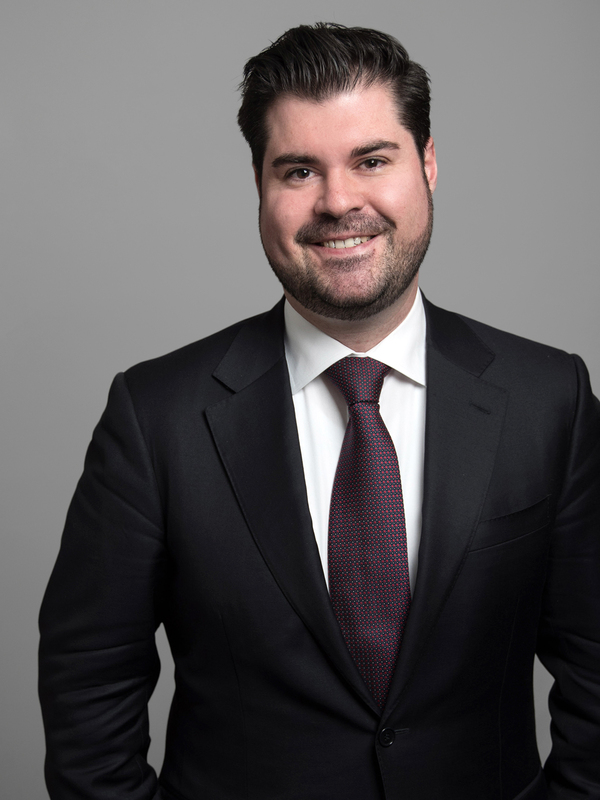 Mark joins Sussex as a Senior Associate in the firm's Energy and Environment Practice after more than eight years at Queen's Park. During his tenure in the Government of Ontario, he served in a number of policy and legislative affairs capacities, including at the Ministry of Energy, Ministry of Transportation & Infrastructure, and Ministry of Municipal Affairs & Housing.